If you have been searching online for the best home buying investors in Colorado Springs then you are in luck, because our professional home buying company HBR Colorado would like to make you a fair, no obligation, risk-free cash offer on your house today. Please feel free to reach out to us via call or text at (719) 286-0053 to speak with one of our live representatives and get a free online quote today! The main benefit of selling your home to a private real estate investment firm is that you are able to sell quickly for cash without paying any commissions, repair costs, closing costs, or other out of pocket fees. There are no inspection costs or other hidden fees with our home buying process whatsoever, and we help every single client that comes to us in every way humanly possible. We realize that we have to earn your business, and that is exactly what we attempt to do from our first point of contact. We will first take a look at your property to analyze it and come up with a detailed repair sheet of exactly what will be needed in order to get it back up to full market value. Then we will make you a fair cash offer based on the market value of your home minus some repair costs and a little bit of wiggle room for error so that we don’t lose our shirt on the deal once we run into unexpected costs. You can then take as much time as you need to think over our cash offer, and then get back to us when you are ready and let us know a good closing date that works for you. Fast closing times. Unlike listing your home the traditional method through a licensed agent, which can often take months, when you sell your home directly to an investor we can close in as little as one week from signing the contract. Fair cash offers. We are investors, so of course, we are looking to get the best deal as possible while still making it worthwhile for you to sell your home. The key to selling your home to an investor is finding a common ground where the deal is a win-win for both parties – the investor makes money and the homeowner walks away with enough cash to pay off their debts and continue their lifestyle. No commissions or upfront fees. One of the absolute best things about selling your home directly to a real estate investor is that you will not have to pay any upfront, out of pocket expenses to repair the home, list it, stage it, or do anything else for that matter. We buy houses in as-is condition, so there’s nothing to fix up or pay for, you can simply sell the house for cash in one week, no fees, no stress! No real estate agents. We are not licensed real estate agents. We are real estate investors who are actively looking for houses that need work, then we buy them at a discount, go in a fix them up, then resell them on the open market for a profit. 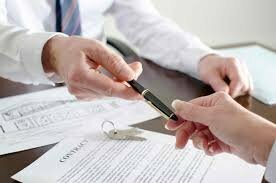 When you list your home through a licensed real estate agent on the open market, it will often take months to sell, and in that time frame you will have to sign listing agreements, entertain hundreds of prospective buyers and tire kickers who aren’t really interested in buying your house at all, and who most likely won’t even make an offer. You will also be responsible for paying the monthly holding costs to keep the lights on, pay the taxes, homeowner’s insurance, and other monthly expenses while you wait for the house to sell. On top of all of that, the realtor will most likely ask you to put some money into the house to make repairs, in order to get it to sell for a higher price, only to take a nice chunk in commissions once the property finally does sell for that higher price. 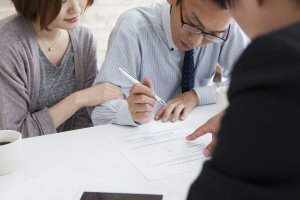 If this sounds like the crazy real estate circus that it is when you attempt to sell a home in the modern marketplace, and you are searching for a viable alternative, then considering selling your home privately for cash to a real estate investor is perhaps one of the smartest decisions you can make. Sure, you definitely will not get as much money for your home when selling to an investor as listing it with an agent, and we are 100% up front and honest about that. We are investors, so we need to be able to make money on the house after it’s fixed up and sold because now we are the ones who are going to handle the entire circus of staging the house, listing it, and finding the right qualified buyer. Since we are taking on all of the risks and managing all of the work, we are looking to lock in a significant cushion of profit on each deal, which simply put means that we need to be able to buy houses for at least 20% off of the full retail value, minus any repair costs that will be involved in rehabbing the home. This 20% discount might sound like a lot of money to some people, but after you factor in the carrying costs, commissions, repair costs, and other fees that come bundled into the listing it with an agent package, suddenly the selling fast for cash to an investor option starts to look a whole lot better. When you sell your home immediately you avoid having to put any other out of pocket expenses into selling it, and you can sell right away. No repair costs, no more monthly mortgage payment, no utilities, no taxes. You cannot underestimate the costs that most people don’t think of and factor in because they are so used to paying them. If you list your house with an agent and it takes six months to sell, you still have to pay the mortgage for those six months. If your mortgage is $1,000 a month then that’s an extra $6,000 out of your pocket that you will have to pay until the home sells. If you sell your home to our company today then you will not have to pay next months mortgage payment, and you will actually have cash in your pocket after you have paid off the existing loan at closing if one exists. If you own the property free and clear then at least you no longer have to worry about taxes, maintenance, insurance, and other associated fees. If you are ready to learn more information, and you want to talk to one of our home buying specialists about your options when it comes to selling your home to an investor, and how we might be able to assist you by buying your home, please give us a text or call at (719) 286-0053 or simply fill out the form at the bottom of this page. You can also use the live chat box in the lower right-hand corner of the screen to talk with one of our live representatives.